We should all eat more fish, whether for health reason or for the pleasure of it. This Spiced Beetroot, Goat Cheese and Smoked Trout Tart Recipe is easy to make but it looks like you’ve slaved over it for hours. The quantities will happily feed 4 adults, and will be good served with a couple of side salads. This will tart keep over night if covered and can be reheated the following day for a tasty lunch. 1. Pre-heat your oven to 180C (gas mark 5 or 6). 2. Rub your hands with a few drops of oil before cutting the beetroots. This will stop your skin from getting stained. 3. Peel the beetroots and then slice them. The slices should be between 3 and 5 mm each. 4. 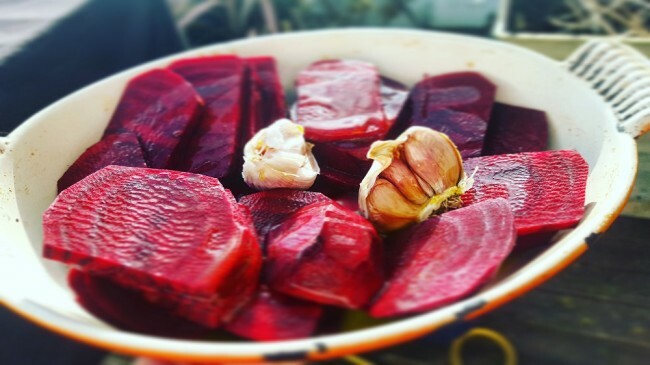 Place your beetroots in an oven dish with the whole cloves of garlic. You should leave the garlic unpeeled. 5. Sprinkle with your chilli and drizzle with olive oil. 6. Take the garlic out after 30 min. 7. Test the beetroots and leave them in the oven until they are cooked through (it should be no more than another 15 min). 8. Once the beetroots are cooked, place them to the side so they can cool down. 9. While this is happening, blind bake your pastry for 10 to 15 min or until it has started puffing but is still uncoloured. 10. Remove it from the oven and brush the bottom of it and layer the beetroot slices. Top them with the goat cheese and the roasted garlic cloves and place it back into the oven for 10 min or until golden. 11. Once cooked, let it cool down for 5 to 10 min then add your rocket, the smoked trout and season with the lemon juice and a drizzle of olive oil. Katia Valadeau is the creator of Proper Food, a blog that features recipes that are simple, practical and delicious. 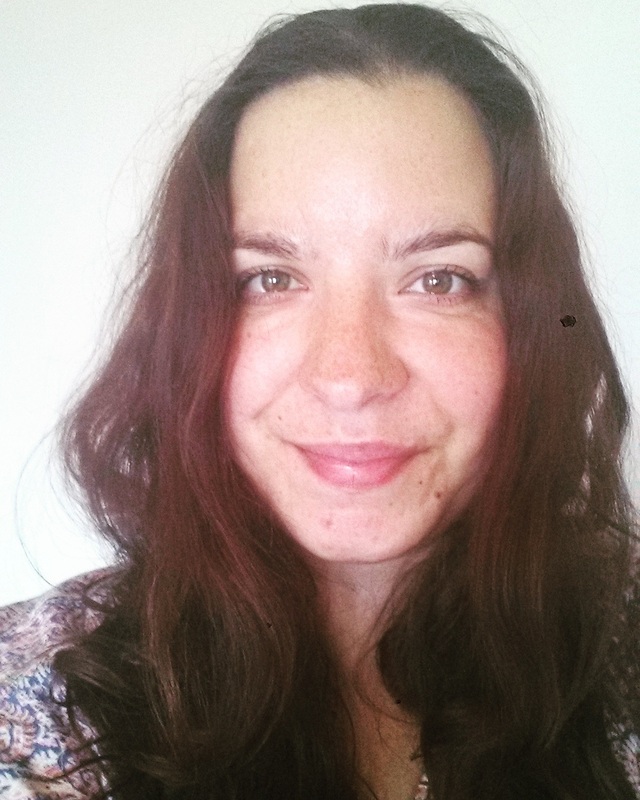 Originally from Paris, Katia now lives in Dublin and loves cooking with fresh, seasonal and locally sourced products. For more information and to discover exciting recipes from around the world please visit properfood.ie.